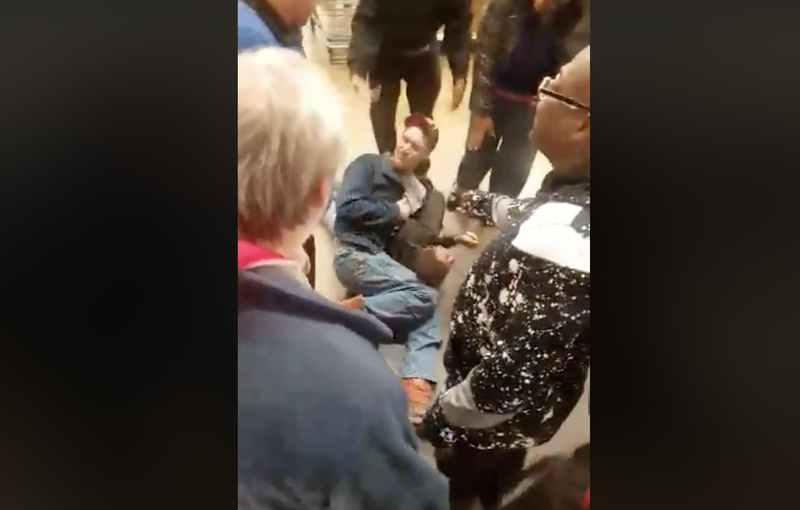 While shoppers were minding their business Saturday night at a Toledo, Ohio, Kroger store, they witnessed a 16-year-old girl being assaulted by a security guard after the guard allegedly caught her shoplifting. As the incident is being filmed by a shopper’s cellphone, you can hear other shoppers yell at 32-year-old Tom Clingo as he drags the girl back into the store and body-slams her to the ground. “He thinks that’s his job? To handle a little girl like that? Are you crazy?” one person says. “Bro, just let her go,” you can hear someone else saying in the background. “Tell him to get off of her!” another customer yells. According to The Blade, the teenager had “miscellaneous” items and attempted to fight Clingo as he was trying to apprehend her. The Toledo Police Department stated that Clingo was not affiliated with the department. The unnamed teen has been charged with robbery because of the fight she put up. Although the video was uploaded to Facebook, it is blocked from being embedded because of the violence restriction, but it can be viewed here.